After yesterday's crashing disappointment, I went for more punishment at first light this morning, staking out the Waxwings' favourite tree in Shawley Crescent near Epsom Downs. I hung on until about 8.30am, but due to time constraints, I needed to head off to Cutt Mill Pond near Elstead. End result - Waxwing dip no. 4. I could (but I'm not going to) claim a tick from yesterday's first visit. 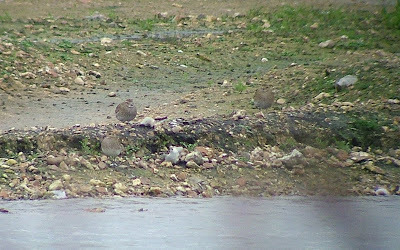 The birds were there when I arrived - but within a nanosecond (it could have been less) having looked down to pick up my bins, camera and scope, they had gone. It just wouldn't seem right to add them to my list - that's my feeling and I'm sticking to it. Cutt Mill Pond was a different story altogether. As soon as I arrived I saw three Kingfisher skimming over the lake at break-neck speed. 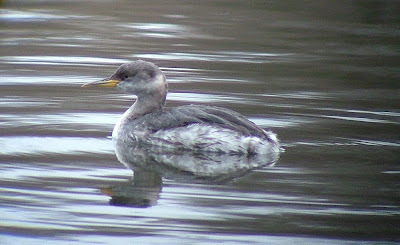 On the walk round the lake I came across a Grey Wagtail, and within 15 minutes I was looking at a Red-necked Grebe (158). 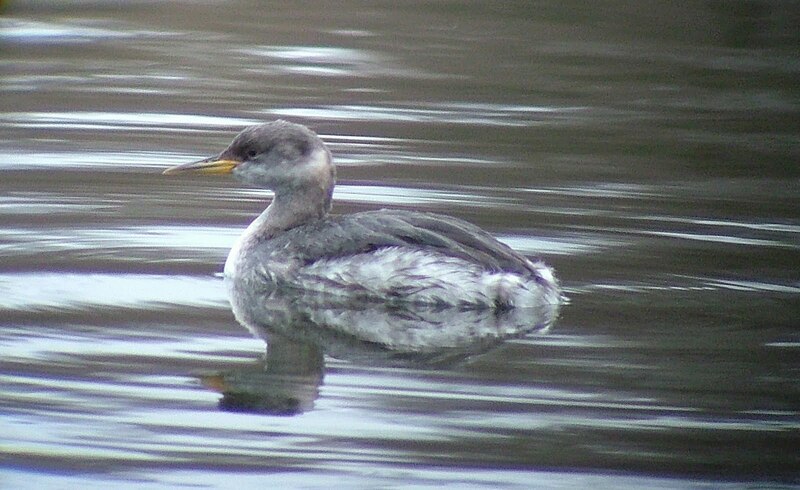 The Grebe was very obliging, hanging around close by, so I got great views of it. I watched the Grebe dive for food for a while, then made an impromptu decision to head off for Tice's Meadow. I've never been to this plum site before, but I found it without a problem. It was only to be a fleeting visit, as time was really getting on. I had to be back home to meet with the Drain man, who was due at midday to do the job no-one else wants to do. 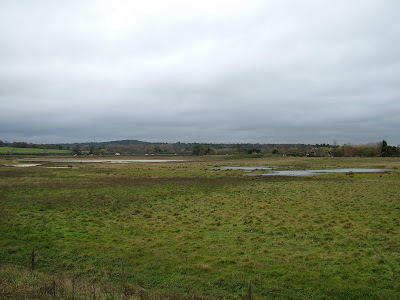 Anyone who knows of its record in recent years will testify that Tice's Meadow is one of the best places to see birds, particularly waders, in Surrey. At first glance, it's like a mini-Beddington. There were a couple of birders up ahead and I introduced myself. One was John Hunt, and the other was Rich Horton... the same RT Horton who heads the species list on the Surrey Birders website. The same RT Horton who keeps pulling new birds out of the hat just when I think I've caught up. It was like Stanley meeting Livingston for the first time. The Tice's Meadow crew is headed by Rich Horton, Rich Sergeant - who I've still yet to meet although we are in text and email contact - John Hunt and Kevin Duncan, who actually lives in Buckinghamshire. They are rightly very proud of their patch which, with further development planned, will only get better. 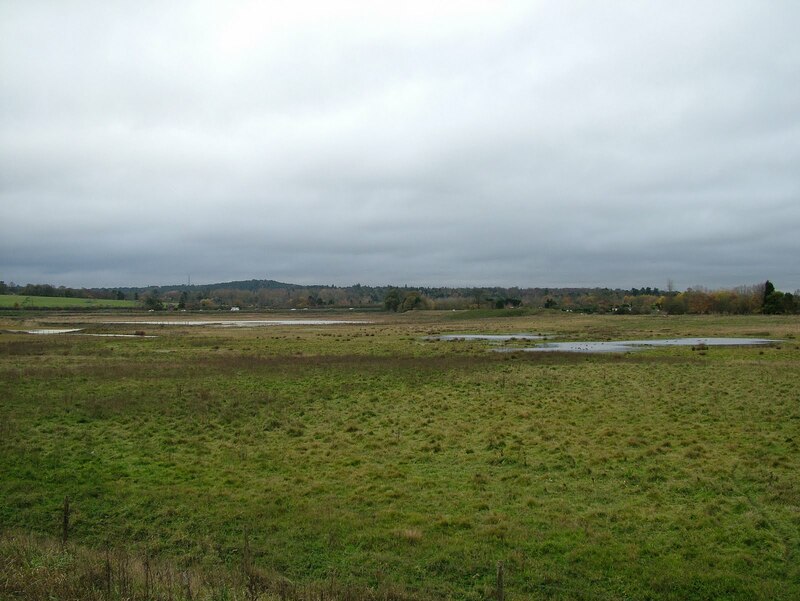 It's just a pity it's at the farthest end of Surrey to where I live. I was at the site just for one bird. 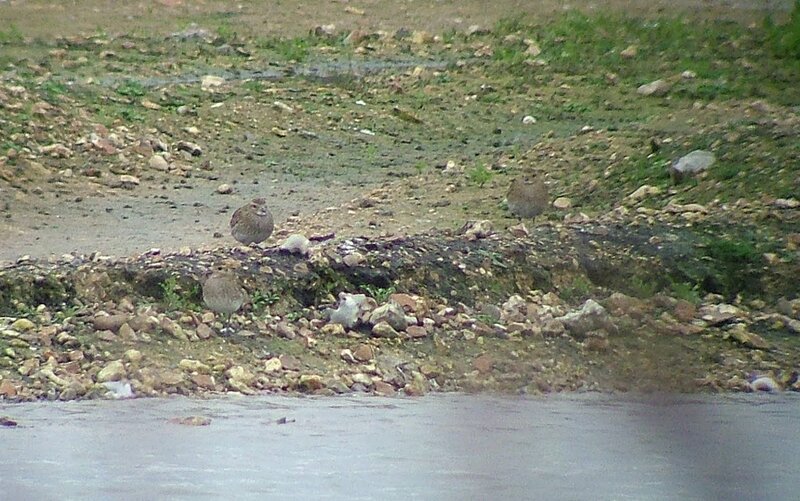 While I hadn't seen one in Surrey all year, in front of me were more than 400 Golden Plover (159). They made for quite a spectacle, frequently taking to the sky - a cloud of birds - before landing in a group again on the scrape. John took me over to the edge of the scrape for a better view, while Rich headed off home. After about 15 minutes watching the Plovers, numerous Lapwings and a couple of Dunlin, I had to leave and head home, but not before going back to dip the Waxwings for a fifth time. I discovered that they had dropped in for a ten-minute visit to the tree at about 9.00am. I should have hung on for another 30 minutes.